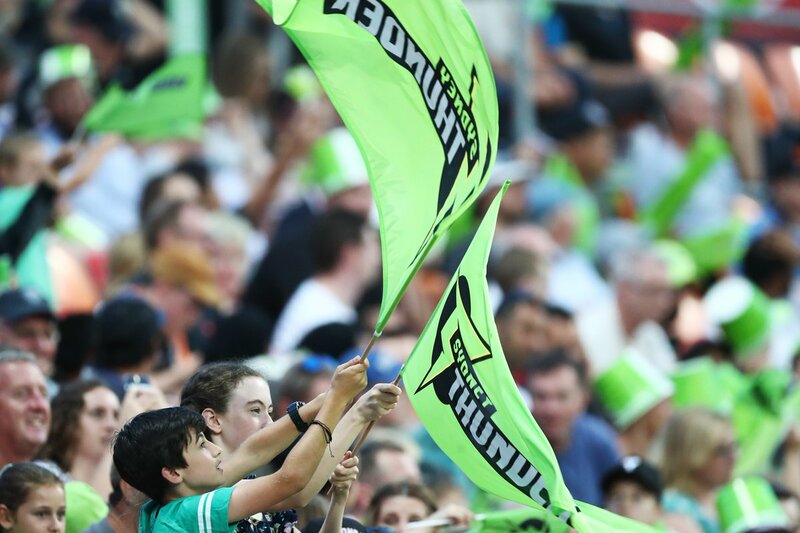 A low and slow pitch has turned in one of the matches of the 2018/19 Big Bash season with the Sydney Thunder winning by one run over the Perth Scorchers. 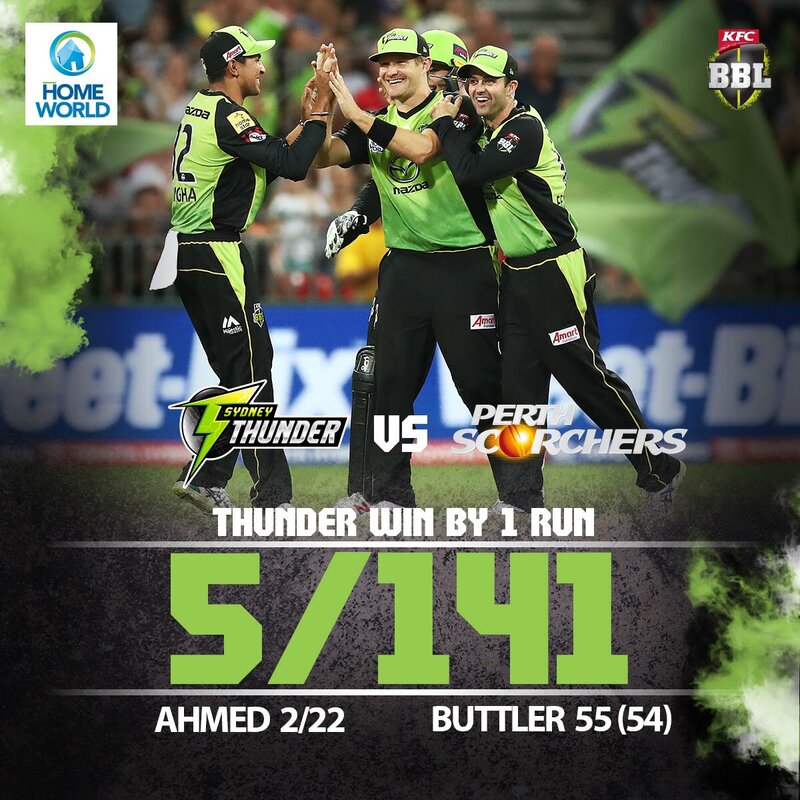 The Thunder battled hard with Jos Buttler and Callum Ferguson combining for an 82-run partnership in Sydney’s 6/142. 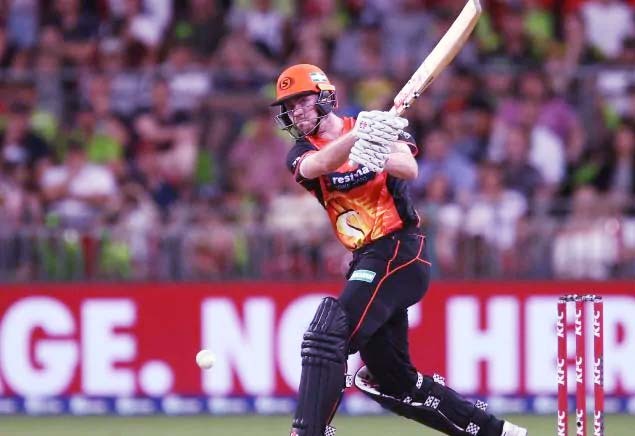 The Thunder seemed well in control but a lone hand from Ashton Turner, who thumped a 36-ball 60 not out, got the Scorchers close but ultimately fell short by one run. 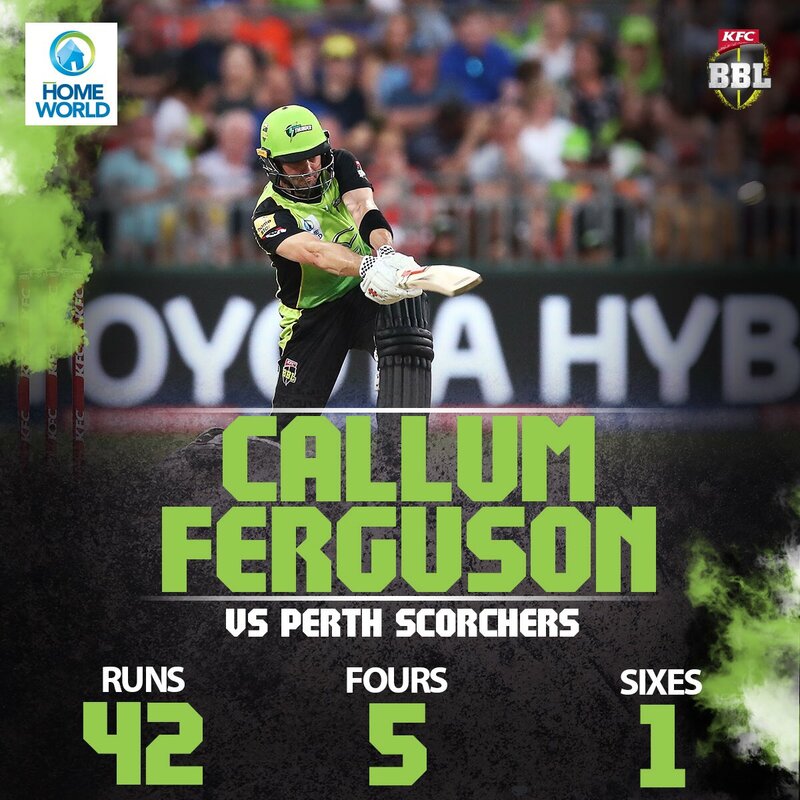 Buttler’s 55 off 54 balls and Ferguson’s 42 off 30 were crucial to build the score. 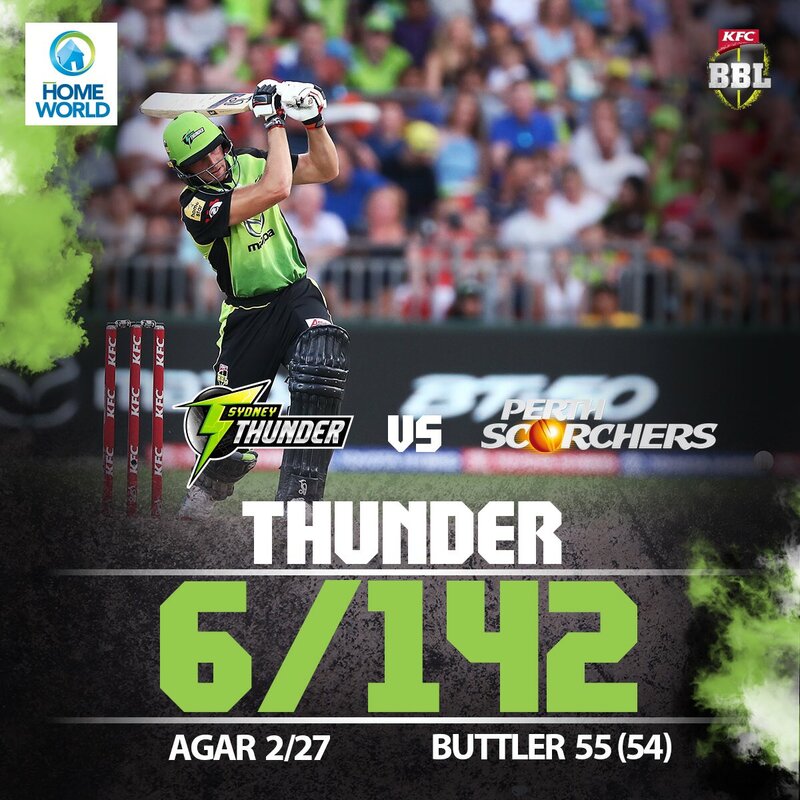 The Scorchers struggled throughout with an early wicket before an explosion of exceptional fielding in the middle overs seemed to put the Thunder in the box seat. 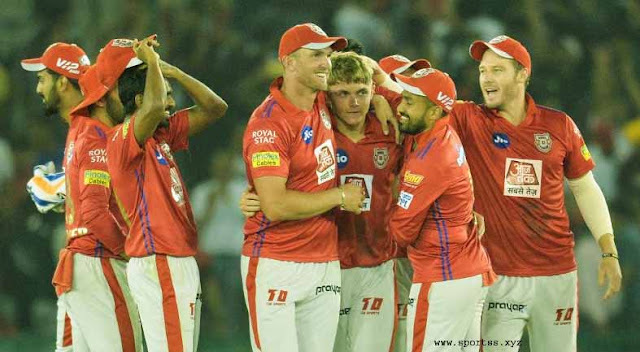 Sydney took 4/4 in 14 balls to leave Perth 5/54 at over 11.1. Shane Watson caught the dangerous Ashton Agar with a reflex catch at first slip. “Turned back time,” added Brett Lee. “I think he thought it was his seniors card,” Kerry O’Keeffe added. Jos Buttler jumped out of the way as the 36-year-old nailed the throw. “We’ve found the fountain of youth haven’t we,” Ferguson said. 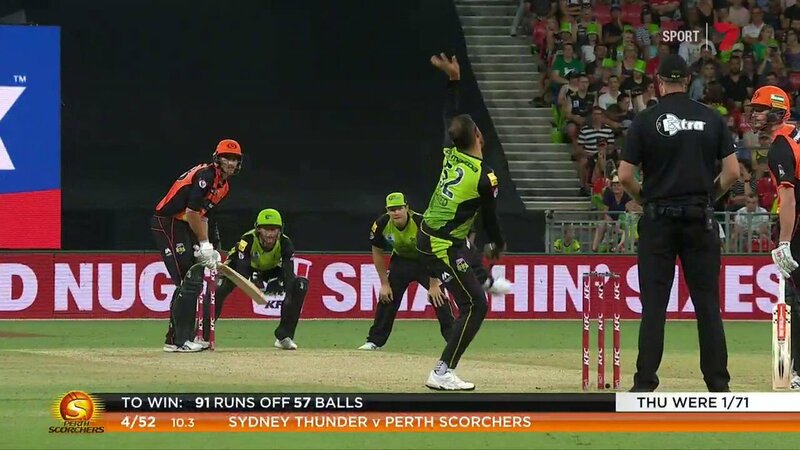 Fawad Ahmed spoke to Fox Cricket after the game about the run out. Ahmed also too 2/22 off his four overs, while Jono Cook grabbed 1/13 off his four. But another twist came as skipper Ashton Turner smashed 60 not out off 36 balls, while William Bosisto supported with 23 from 21. It got the Scorchers within 19 for the final over. Two early fours and two wides made it a nervy finish but Thunder bowler Daniel Sams held his nerve. “It got a little bit tighter than we were hoping, just happy we got the W,” he said.